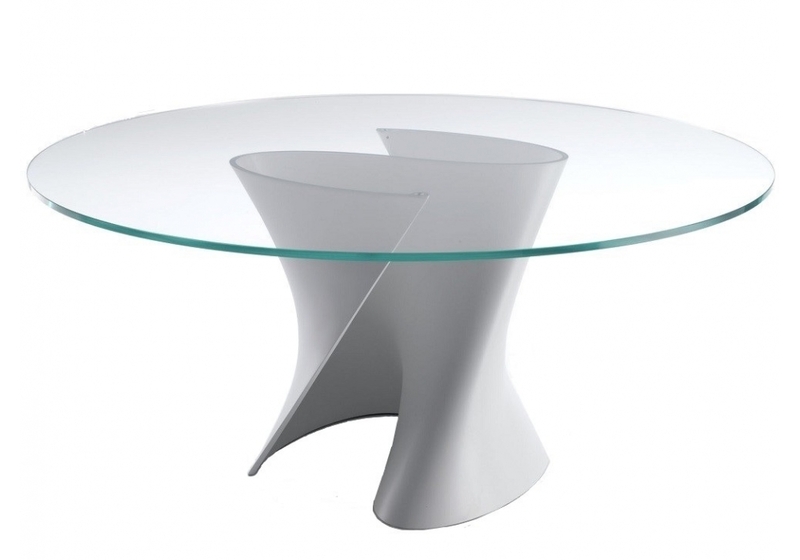 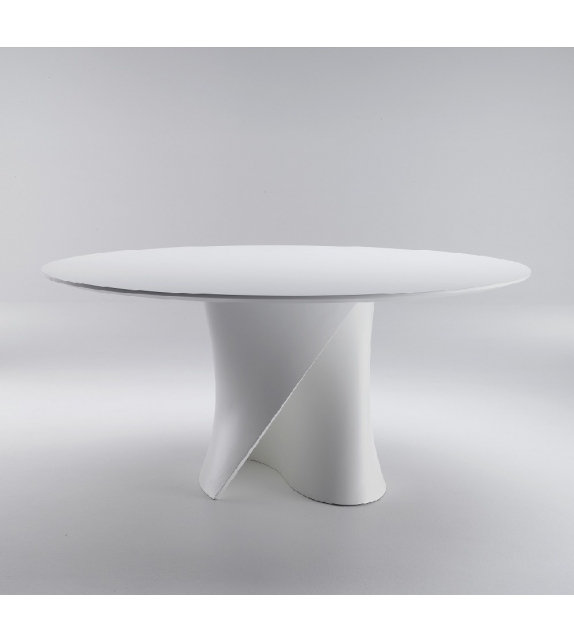 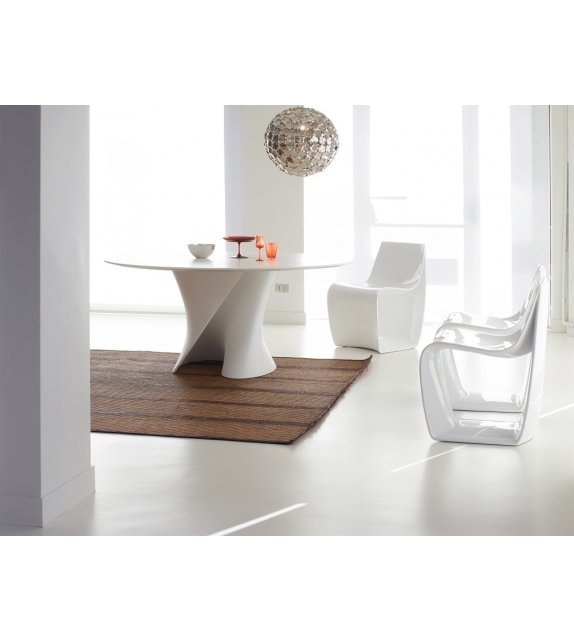 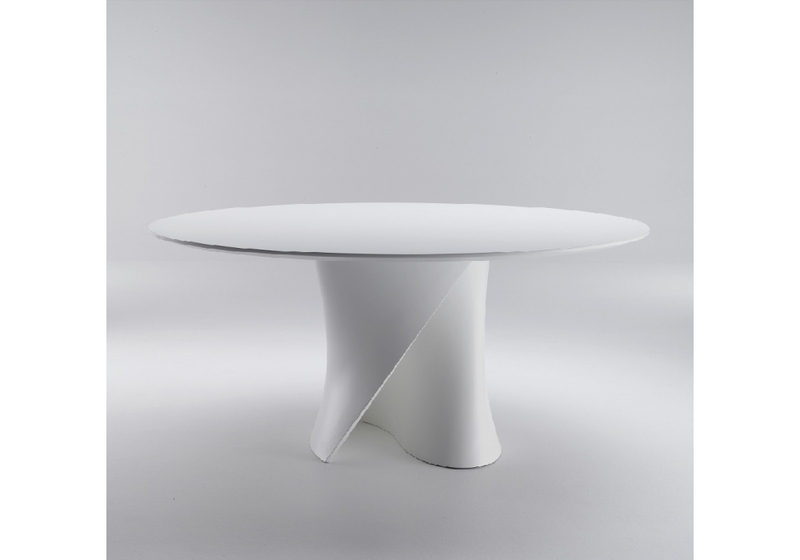 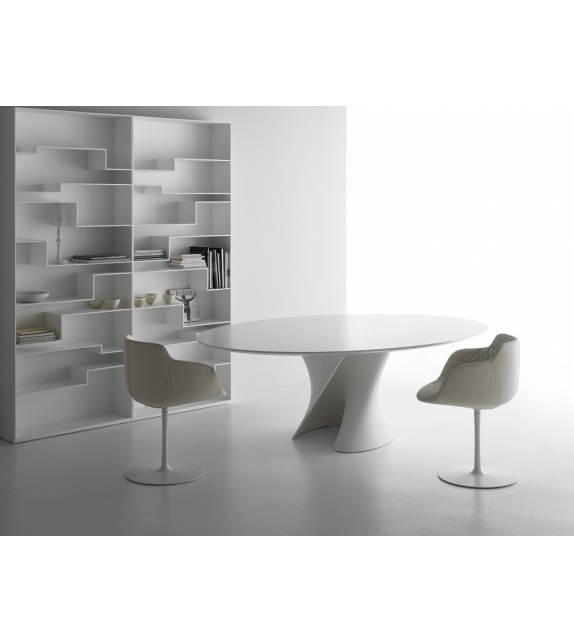 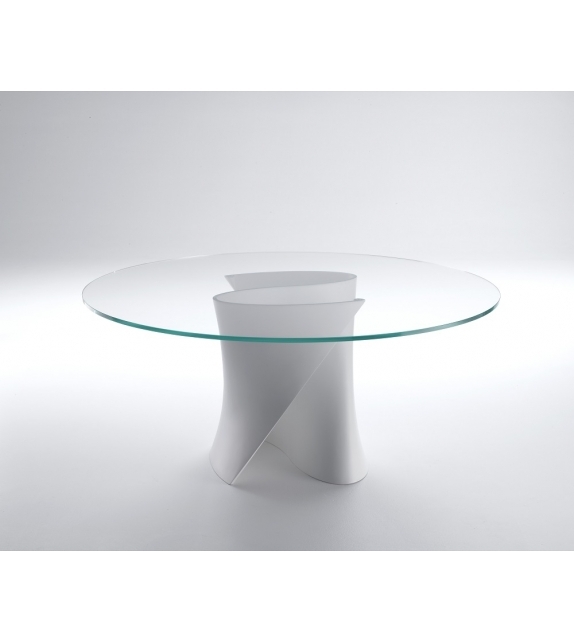 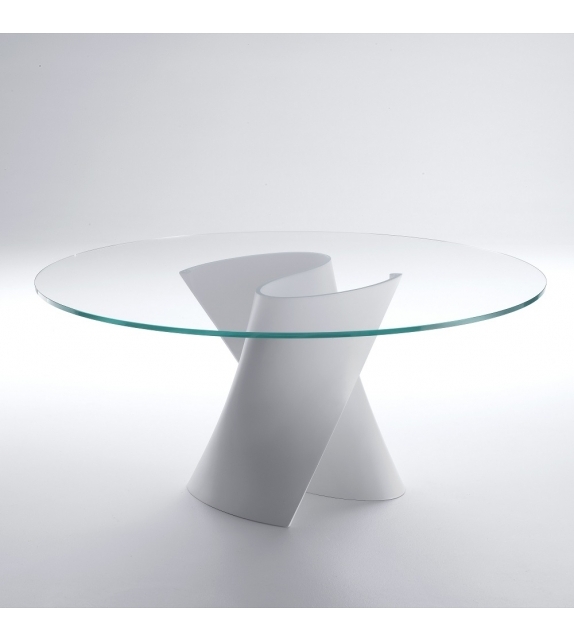 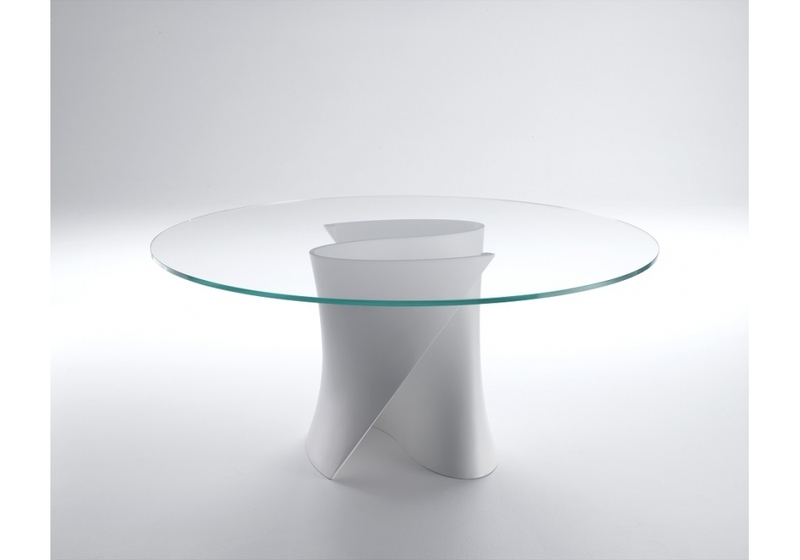 S Table by Xavier Lust for MDF Italia is a round or oval tables. 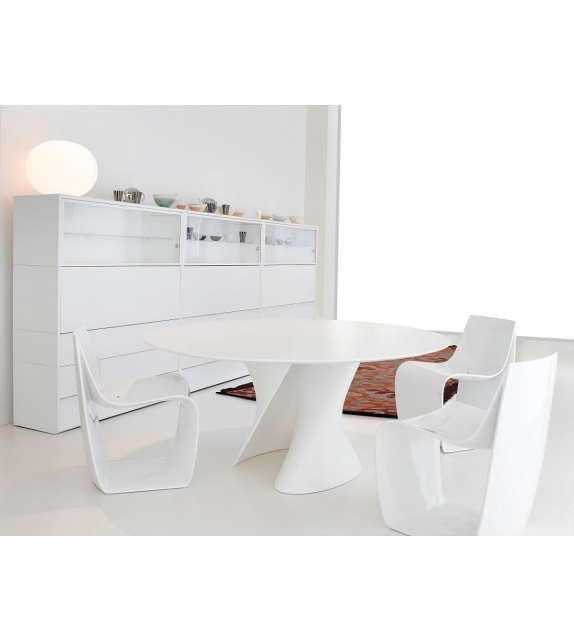 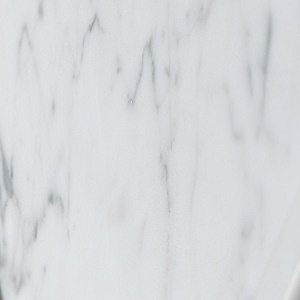 S-shaped twisted stand, moulded in Cristalplant® in matt white or Ceramilux® in gloss black. 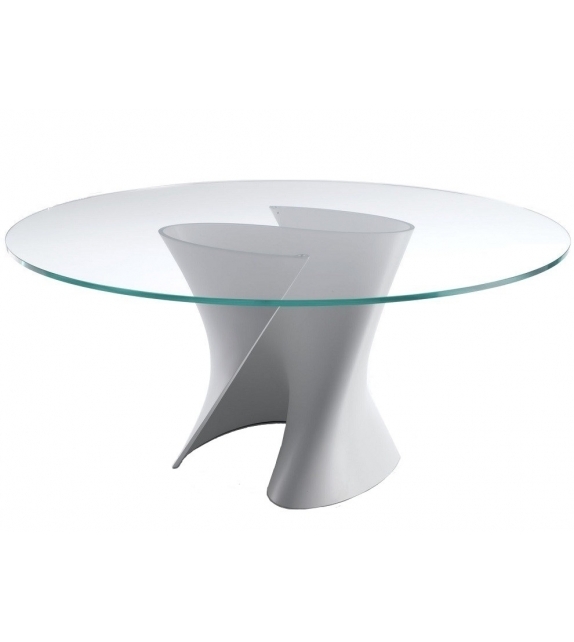 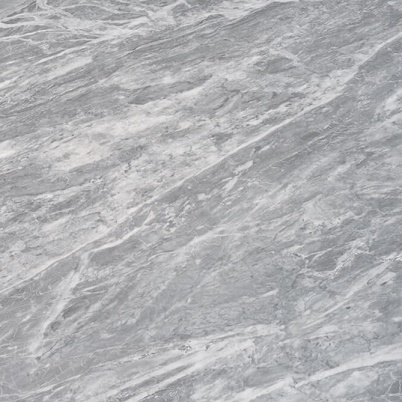 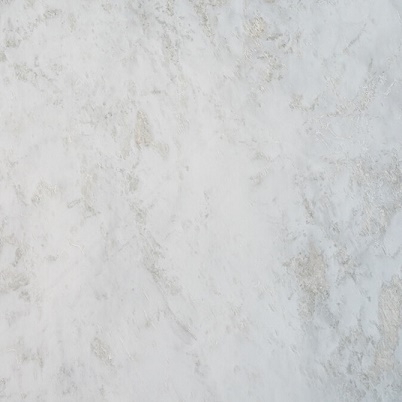 Tops for a white stand in clear or extra light glass, or clear or extra light tempered glass, or in medium-density wood fibreboard, lacquered in matt white with scratch-resistant finish, or in Cristalplant® in matt white. 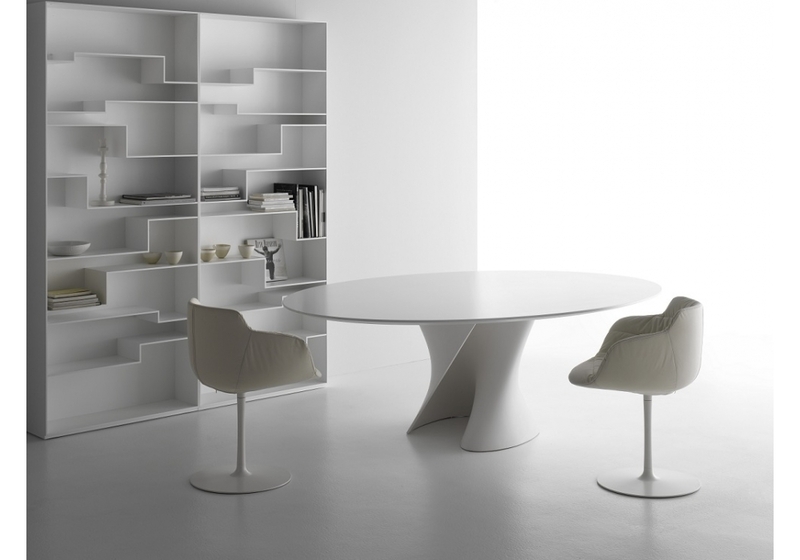 S Table by Xavier Lust for MDF Italia is a round or oval tables. 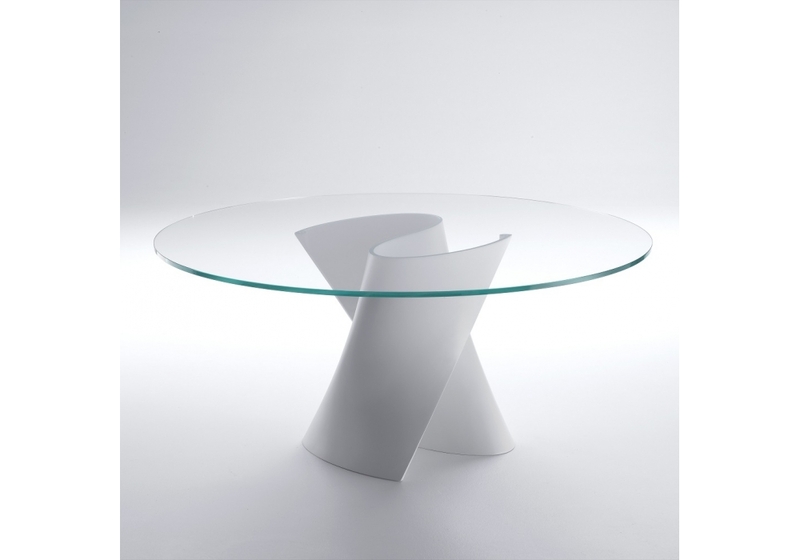 S-shaped twisted stand, moulded in Cristalplant® in matt white or Ceramilux® in gloss black. 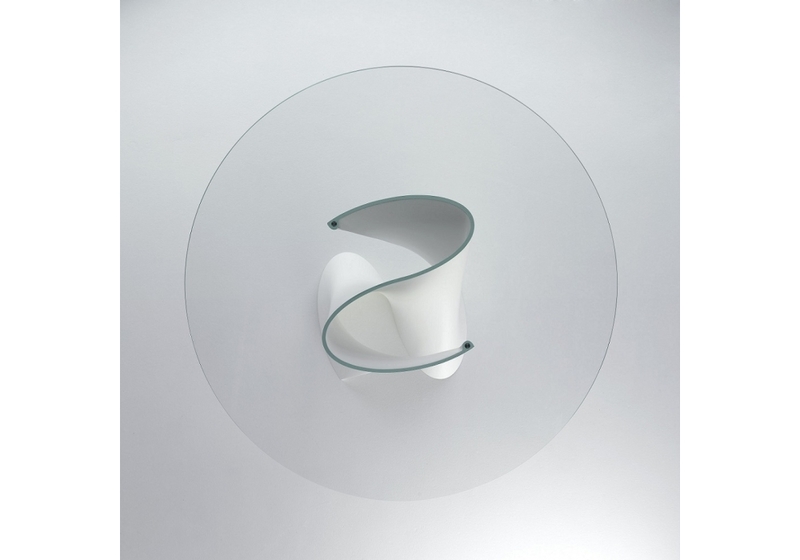 Tops for a white stand in clear or extra light glass, or clear or extra light tempered glass, or in medium-density wood fibreboard, lacquered in matt white with scratch-resistant finish, or in Cristalplant® in matt white. 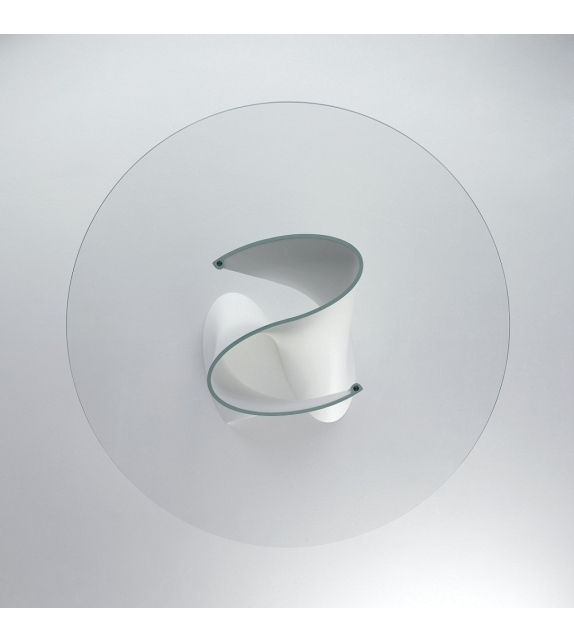 Tops for a black stand in grey smoked tempered glass.